TALLINN, Estonia — Team news and live television coverage ahead of Wednesday’s UEFA Super Cup clash between Real Madrid and Atletico Madrid in Estonia. Interestingly, Watch TNT will be streaming live coverage of the game, while TV broadcast will be on TNT USA. BT Sport 2, BT Sport Live and BT Sport 4K UHD are the channels providing the action for those in the UK. You can also sign up with Sling TV and Fubo TV for live streaming coverage. 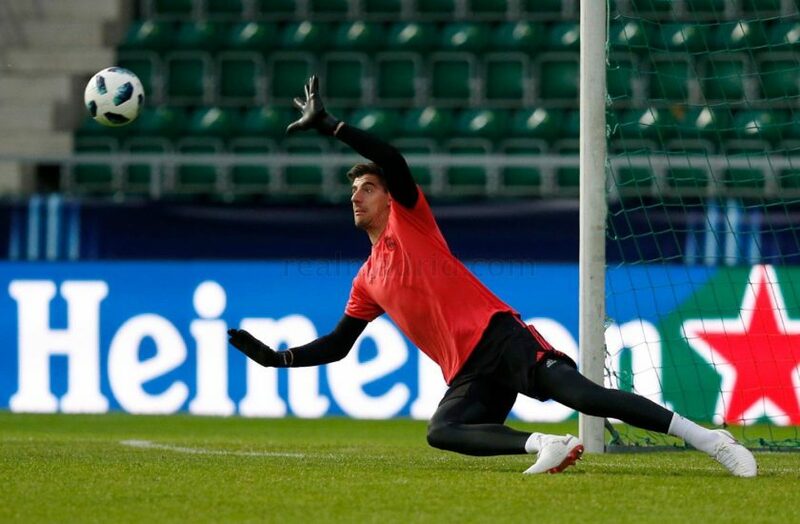 Thibaut Courtois is in line to make his debut for Real Madrid after joining the European champions from Chelsea on deadline day, while manager Julen Lopetegui is set to unleash Gareth Bale in a new role, following the departure of Cristiano Ronaldo to Juventus this summer. “There is not more pressure because it is against Atletico Madrid, it is a final and a trophy which means that we will give everything, we are obliged to win everything,” Lopetegui told UEFA. “The club gives us what we need so that we can do our work in the best manner and so we are privileged because of this. “We will try to be a good team, make the most of what we have collectively and individually for the collective good. “We will have a clear style, defined, which makes the most of the individuals that we have.” Midfield playmaker Luka Modric, who has been heavily linked with a move to Serie A side Inter Milan, is also in the Real Madrid squad and is expected to play. Atletico Madrid boss Diego Simeone is also confident about his side’s chance of securing an early trophy this season but warned that his summer acquisitions doesn’t mean immediate success. http://gty.im/1016789956 Atletico lifted the Europa League last season with a solid squad but Simeone has gone out to strengthen his group over the summer. The likes of Thomas Lemar, Nikola Kalinic, Rodri, Santiago Arias and Gelson Martins are among the players coming, while veteran defender Diego Godin opted to stay put rather than joining Manchester United, following reports he turned down the Red Devils’ approach on deadline day. Antoine Griezmann, Diego Costa, Jan Oblak, Koke, Juanfran and Filipe Luís are just a few of the other top players at Simeone’s disposal.